Each year, we can predict like clockwork that the holiday season will weigh heavily on our local blood supply. It’s just a tough time of year for folks to donate, which we totally understand. But the fact remains that patients across Central Texas are relying on us — all of us — to have a stocked and ready blood supply. Not only do people need blood and platelet transfusions in case of emergency, but there are also hundreds of regularly scheduled surgeries that take place throughout the holiday season that require blood products. And those who are undergoing cancer treatment right now certainly don’t get a break from needing blood products just because those who donate are busy. In fact, many cancer patients need MORE blood and platelet transfusions this time of year. One of our goals is to make blood donation as easy as possible, which is why we want to bring blood donation to you. 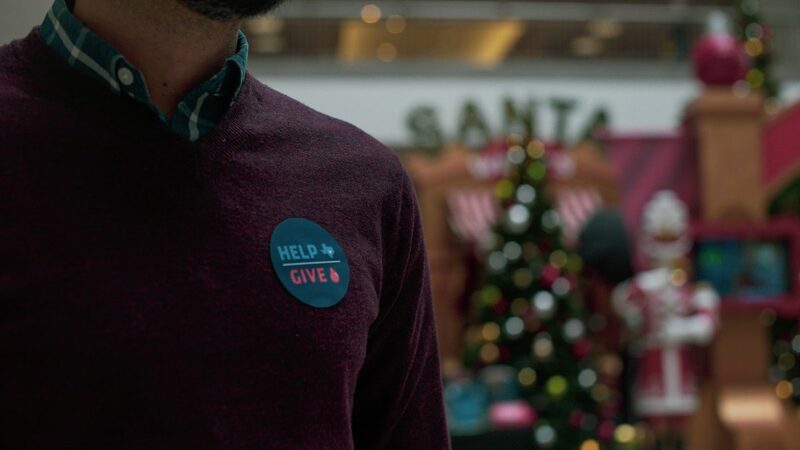 Better yet, we’ll be giving every single person who donates or attempts to donate at one of our mall drives a free Alamo Drafthouse movie pass *AND* if you give in December, you get a pint of Amy’s Ice Cream, to! !